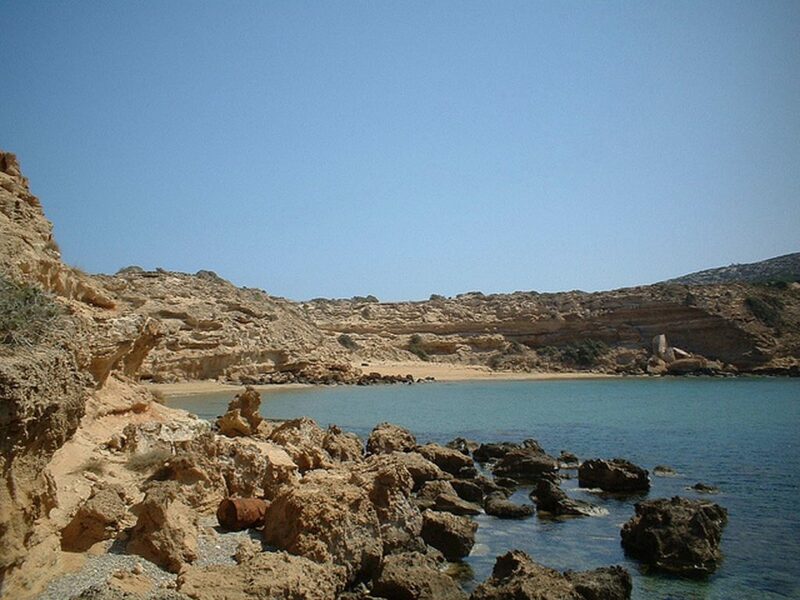 Stavrolimni is a very small beach on the island of Gavdos and is located between two others, Lavrakas kai Pyrgos and you can reach it on foot. The beach is sandy and you will find a few rocks on the coast, so it is ideal for camping. A stream, which starts from Agios Nikolaos and brings the clayey soil to the coast, ends in Stavrolimni. From April to May, when the clay is still wet, it is worth taking up mud therapy in a natural and inexpensive way. On the beach of Stavrolimni, you will see several makeshift structures that have been built by the most “permanent” campers. The area is surrounded by pine trees and cedars and you must have everything you need with you, before you get here.